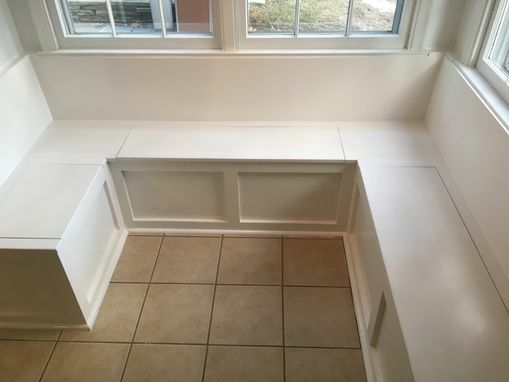 This home had a small nook in the kitchen that was being underutilized by the table and chairs that were already in place. 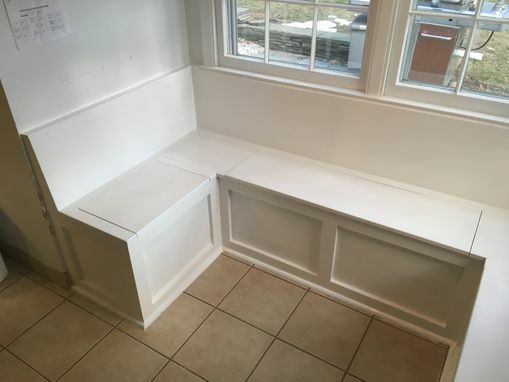 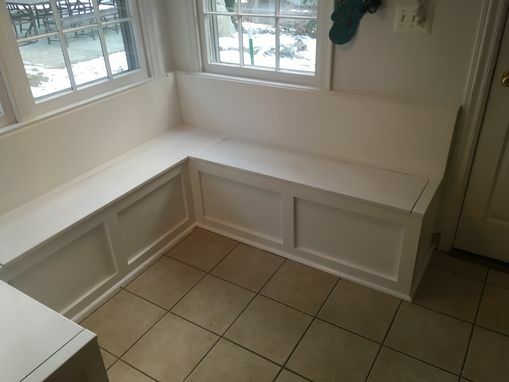 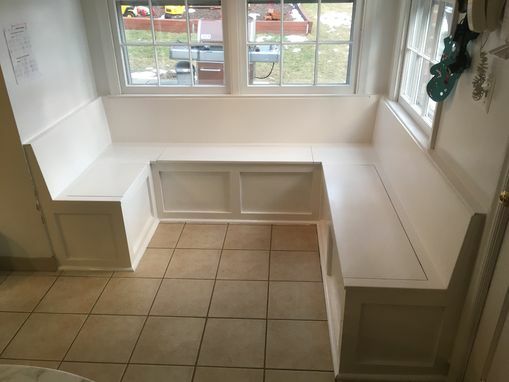 We worked with the homeowner to design a built-in bench system to provide maximum seating space, as well as abundant storage. 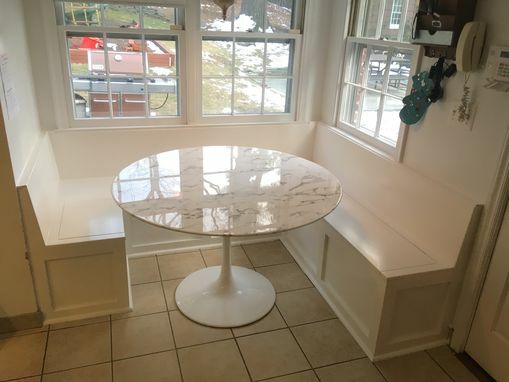 Combined with a sleek new round table, it feels like a whole new space!